Properties in Horowhenua District average 4.6 out of 5 stars. Property 4: Our beach house! Walk to the beach. 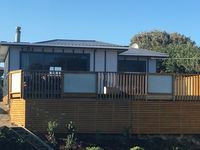 Property 10: HAPPY HAVEN has Kiwi Bach character with location. Loved it . Cute relaxed and friendly.